Former Vice Chancellor of Mysore University Professor K S Rangappa inaugurated the painting exhibition (Sic). 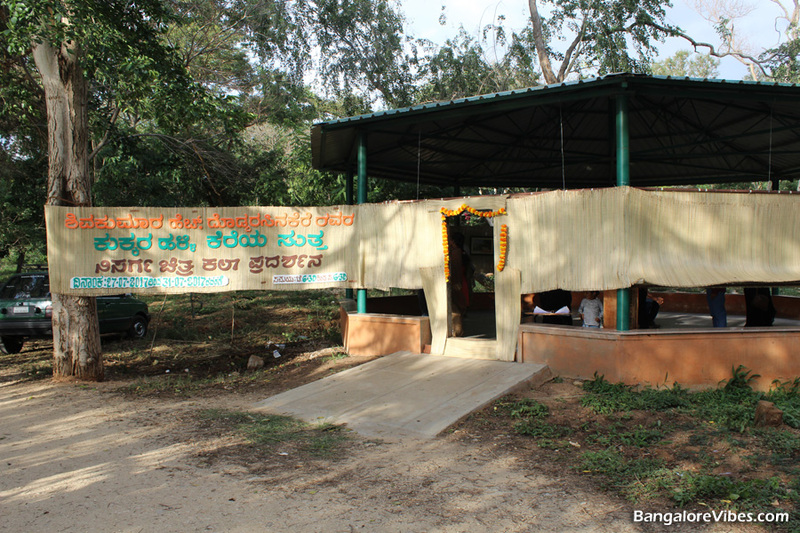 The Kukkarahalli Lake in Mysuru has been in news in the local dailies for several reasons. Whatever the news may be, the lake has witnessed good progress in its maintenance and subsequently more footfalls. Anybody visiting the lake after a decade would say this. I mistook the banner outside the gate to be an art competition were schoolchildren would be participating. It was a nostalgic thought though. 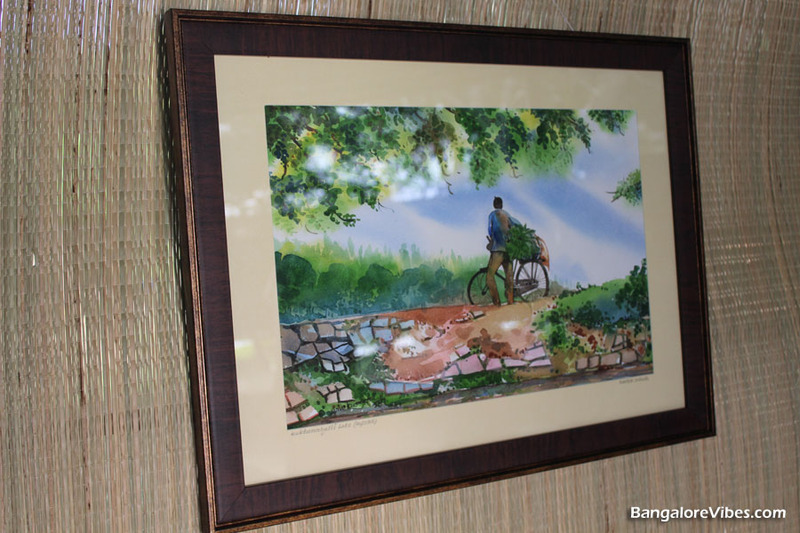 More than three decades ago, my close pal and I participated in a drawing competition held in Karanji Lake. I was studying in Teresian Convent then. The art exhibition was setup inside the lake. Mr. Shivakumar H Doddarasinakere was present at the venue. The visitors, most of them, seemed to know him. Everybody were appreciative of his work. 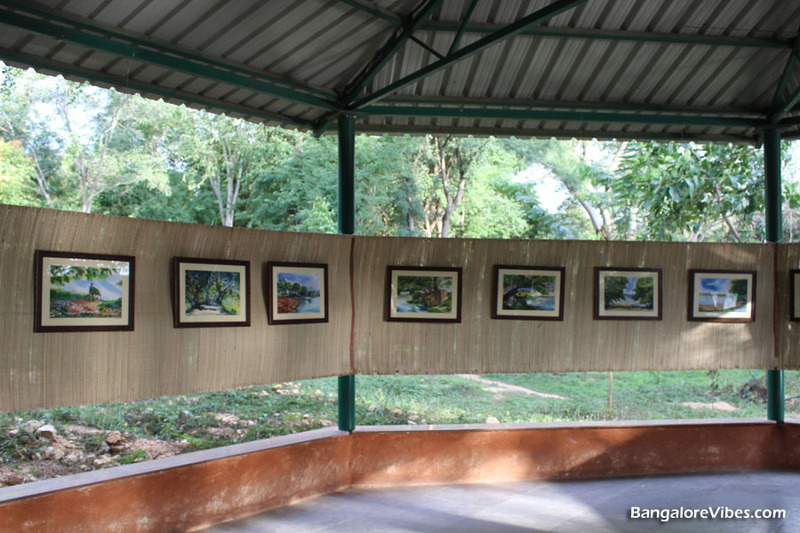 The paintings in the art exhibition brought the beauty of Kukkarahalli Lake to the canvas. The scenarios, trees, grass, people, the watchtower, birds and several minute details were vividly painted. Mr. Shivakumar was busy attending to the visitors. I had to wait for my turn and finally got a chance to talk to him. He was so friendly and humble. Mr. Kumar stays in T K Layout, Mysore city. He teaches painting to the students.